Fritsche offers a diverse range of screw fittings for all kinds of central lubrication configurations. Our screw fittings represent quality and longevity. … and in all configurations where moving parts must be protected from direct frictional contact and be kept movable and flexible, fittings by Fritsche come into play. Central lubrication systems keep bearings movable - that is our mission! Utility vehicles: lorries, municipal vehicles, dump trucks, etc. Being a manufacturer with more than 30 years of experience in the production of fittings we can unconditionally guarantee highest quality at any time. Customers from all over the world highly appreciate our products and our pricing policy. 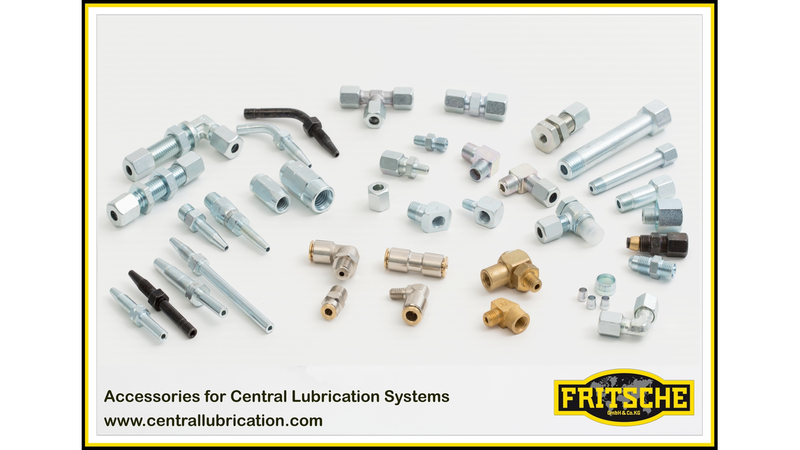 The fittings for central lubrication are subject to continuous detail improvement. For us, continuous adjustment and adaptation to global developments in the lubrication engineering industry is also one of our most valuable activities. The quality of details is what facilitates assembly for our customers and increases longevity of our products for end users.